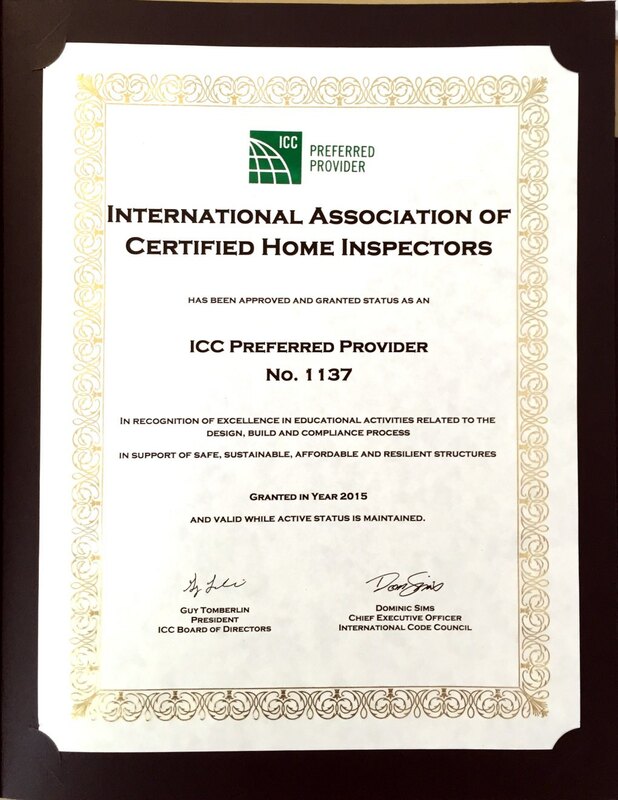 ICC, International Code Council, has issued InterNACHI an official Certificate as Preferred Training Provider. InterNACHI.... #1 in inspector education. Can we get icc certs through nachi? Now or in the future? I don't know. I think you'd have to ask them what the require for their certifications. I have two, but they only required the passing of an exam.